In the fight for gun control, can a nation of high school students make a difference this time? 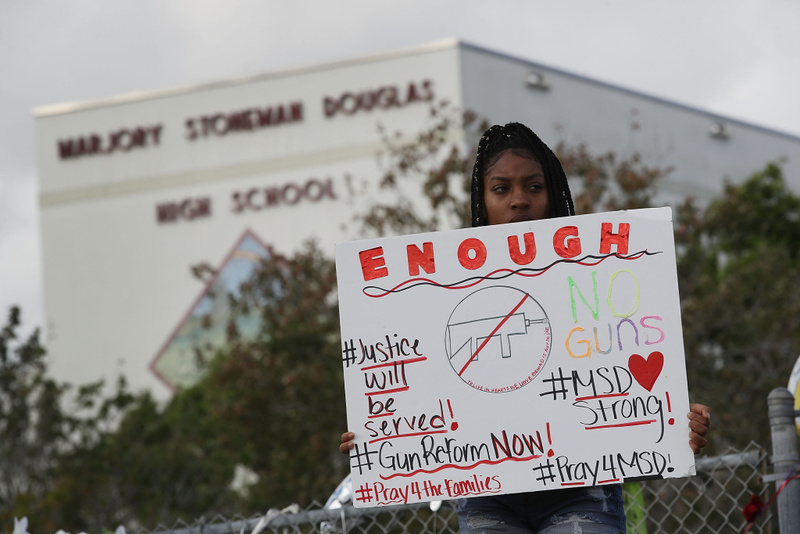 Tyra Heman (R) a senior at Marjory Stoneman Douglas High School, holds a sign that reads, 'Enough No Guns,' in front of the school where 17 people that were killed on February 14, on February 19, 2018 in Parkland, Florida. Gun control advocates are calling for a national walkout at schools across the country. The planned March 14th event follows last Wednesday’s mass shooting at a Parkland, Florida high school. The organizers are calling on Congressional and state legislators to tighten gun restrictions. How far might the walkouts extend and will they have a political effect? As Peter Thiel packs his bags for LA, AirTalk asks: have you ever moved because of your political beliefs?